Good news! Volaris is resuming direct flights from Tepic to Tijuana. Also AeroMexico is starting direct flights from Mexico City to London. Links to Mexican airlines - aerolineas en Mexico. For the longest time, air travel within Mexico was inconvenient and expensive. Almost all flights on the major Mexican airlines, Aeromexico (www.aeromexico.com, tel. 01800/021-4030 in Mexico, 800/237-6639 in the U.S. or Canada) and Mexicana de Aviación (now out of business) were routed through Mexico City. If you wanted to go from Monterrey to Puebla or from Colima to Tepic, costs were prohibitive and travel took most of the day, if not two days. While it’s true that airlines like American, United, and Continental have direct flights from U.S. and Canadian hubs to mayor destinations such as Cancún, if you want to go to interior cities or some of the less popular beach resorts, you often have to fly through Mexico City. Serving Acapulco, Campeche, Cancun, Chihuahua, Ciudad Juárez, Culiacán, DF (Mexico City), Guadalajara, Hermosillo, Huatulco, La Paz, León/BJX, Los Cabos, Monterrey, Oaxaca, Puerto Vallarta, Puerto Escondido, Reynosa, Tampico, Tijuana, Torreón, Tuxtla Gutiérrez, Veracruz, Villahermosa, and in the U.S., Austin, Chicago, Houston, Las Vegas, Miami, and Orlando. Serving Acapulco, Aguascalientes, Cancun, Chihuahua, Colima, Cuernavaca, Culiacán, DF (Mexico City), Guadalajara, Hermosillo, La Paz, León/BJX, Los Cabos, Los Mochis, Mazatlán, Mérida, Mexicali, Monterrey, Morelia, Oaxaca, Puebla, Puerto Vallarta, Tijuana, Toluca, Uruapan, and Zacatecas. U.S. airports served include those in Chicago, San Francisco/Oakland, San José, Fresno, Los Angeles, San Diego, and Las Vegas. This small airlines currently connects Cozumel with Cancun, Mérida, Veracruz, and Villahermosa. But finally some smaller airlines with internal routes have surfaced to serve tourists and business travelers within Mexico. Most flights are between larger cities and resort destinations, however; there are few if any flights between Acapulco and Puerto Vallarta, for example. But even flights routed through Mexico City may be cheaper on these airlines than when booked on the major national or international carriers. 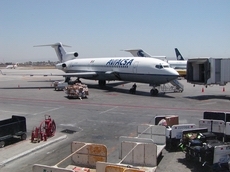 And they provide more competition and therefore help keep prices reasonable.< With its hub in Monterrey, Nuevo León, Viva AeroBus started service in November 2006. Destinations outside of Mexico include Miami and San Antonio, Texas, as well as Havana and Guatemala City. This airline offers ladies-only restrooms, 20 percent discounts for seniors, and flights to both Mexico City and Toluca, for good access to the nation’s capital. A recent search showed a one-way fare of US$217, including taxes, from Miami to Mexico City. Viva AeroBus also offers discount bus service from the airports it serves to cities in the region. It’s worth noting that on Mexican airlines there is rarely any substantial savings by booking round-trip; therefore, you can book the segments of your trip on different carriers. Another advantage to booking separate legs is creating “open-jaw” flights. For example, fly into Mexico City (or Guadalajara or Morelia) and enjoy the colonial atmosphere, museums, and cultural activities, before taking a bus to a beach destination like Ixtapa/Zihuatanejo and flying out of there. You get two types of vacation in one! Note that separate bookings can be a problem, however, if your flight is delayed and you miss the next leg of your journey. Based in Toluca (west of Mexico City but now part of its urban sprawl), Volaris offers different options easily distinguished on their website. Travelers choosing the minimum amount of luggage pay the base fare; those who need to carry more, pay more. Because my family lives in San Diego, California, just across the U.S. border, I save money by flying in and out of the border city, Tijuana. I purchase two one-way tickets on Volaris: I go to California (via Tijuana) with the cheapest ticket and a half-empty suitcase. Inevitably I’ll stock up on certain foods not available in Guanajuato, so I always purchase a return ticket---for slightly more money---that allows an additional 10 kg of baggage. Volaris codeshares with Southwest Airlines, so by booking through Southwest instead of Volaris, I don’t have to pay the surcharge for using my U.S. credit card outside the country. If you don’t feel comfortable using such departure points as Tijuana, Ciudad Juarez, or Nuevo Laredo, just across the U.S./Mexico border, you can still access your primary destination on an international carrier and make use of the smaller airlines for internal travel.